Many of those who did not receive rations were told to come after January 15 as the government had declared it would introduce iris scan and one time password from that day to solve the fingerprint issue. The Delhi government has now taken note of the glitches in the system. For 40-year-old Maya Devi's family in Delhi, survival has become a struggle as she has not been able to get rations for the month of January. 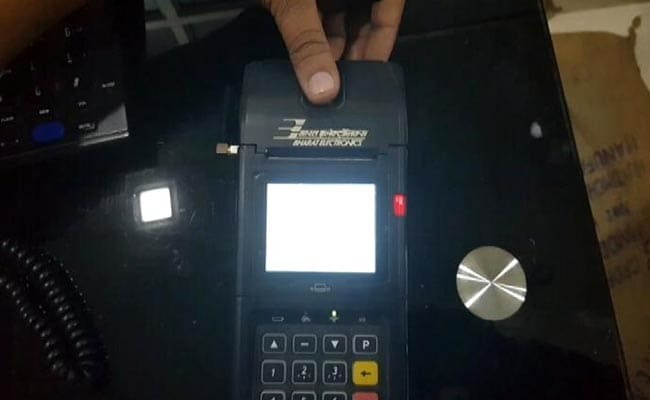 The fingerprints of all four family members are not getting recognised for authentication in the Aadhaar Card-based electronic Point of Sale (e-PoS) device at the government ration shop. She is not the only one. These devices were set up in all 2,255 ration shops across Delhi from January 1 by the Delhi government in order to verify ration cardholders' identities by matching their fingerprints against the Aadhaar database over the internet and clampdown on corruption. Non-recognition of fingerprints and connectivity issues in machines have been depriving many of their rations. Many of those who did not receive rations were told to come after January 15 as the government had declared it would introduce iris scan and one time password from that day to solve the fingerprint issue. However, till date there are no signs of it, leaving people helpless. Maya Devi's family of four has lost out on 4 kg rice and 16 kg wheat due to the Aadhaar glitch. Since each ration card holder is entitled to 5 kg of ration, Maya Devi's family of four has lost out on 4 kg rice and 16 kg wheat. These subsidised grains are a crucial source of nutrition for the family whose sole breadwinner is her husband, a construction labourer who earns only Rs 5,000 a month. Maya Devi says, "I had gone to Shahpur Jat to get ration and they said my fingerprint does not match so I won't get ration. Then my husband took leave from work and both my children skipped school to go and even that failed so we didn't get ration. It is a loss... at the ration shop we could get 5 kg of rations at Rs 45 but outside the same thing would cost us up to Rs 200." While 1 kg rice costs Rs 3 at the ration shop, the same is sold at Rs 35 outside. For 1 kg wheat, the cost is Rs 2 at the ration shop but in order to buy it from outside one has to shell-out Rs 20. 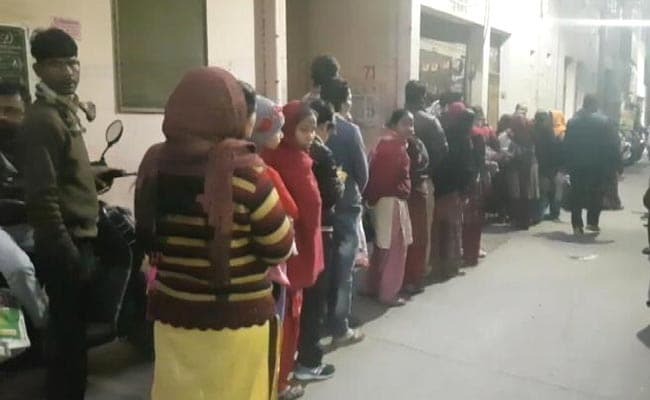 According to data provided by the Delhi government, out of the over 15 lakh ration card holders who attempted to withdraw rations, a majority of 98 per cent succeeded. But the failure of 2 per cent, though small in percentage terms is a huge number of 26,201 households. Aadhaar-linked fingerprint machines were introduced in Delhi's ration shops on January 1. 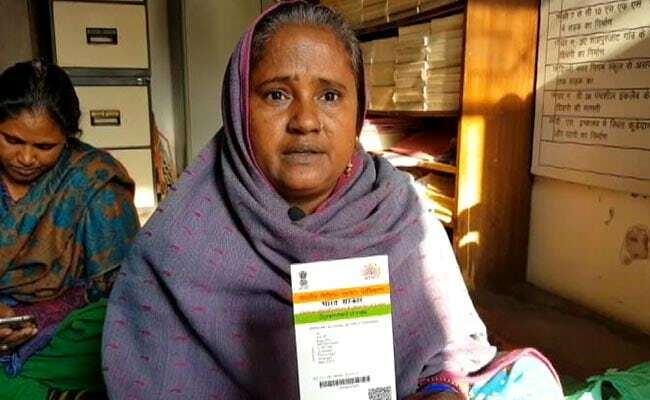 At the Krishna Nagar ration shop in East Delhi, 50-year-old Bhagwati waited for three hours till 6 in the evening to get ration for her family of five as the device was not working due to lack of signals for connectivity. She said, "The earlier system was better where we just had to sign and take the ration. This new system is the worst." Food Supplies Minister Imran Hussain claimed, "The system is still under trial and wherever there are connectivity issues. We are trying to resolve them by providing antennas and replacing SIM cards." But ration dealers disagree. Saurabh Gupta, Secretary of Delhi Sarkaari Ration Dealers Sangh said, "I am trying to connect the machine even with my own WiFi but despite standing in a proper lane it is not connecting. It is unable to catch the WiFi signal. BEL (Bharat Electronics Limited) company's engineers came and gave an antenna which they placed quite higher but still the machine did not get any network." The Delhi government says 98 per cent of people managed to get their rations successfully. In almost every household it is the women who queue up for ration. Maya Devi said, "Even if the husband's fingerprint matches he won't keep taking leaves from work to buy ration and kids won't keep skipping school. It leaves just me and if my fingerprint doesn't match... what is the point of this machine?" The government circular says that in cases of authentication failure shopkeepers are allowed to distribute ration manually but only up to 8 per cent customers attached to the shop. If sale needs to exceed 8 per cent, a government appointed Special Officer will have to be deployed at the shop. The Delhi government carried out a pilot project for these PoS machines in 97 ration shops across Delhi in December. On December 15, the Delhi Sarkaari Ration Dealers Sangh wrote a letter to the government informing them about the connectivity issues in machines and fingerprints of a large number of people not getting matched but the government never responded to it and launched it across all shops from January 1. The Delhi government has now taken note of the glitches in the system. Chief Minister Arvind Kejriwal's office has said that nobody will be deprived of ration, adding it will reissue instructions to all ration shops to allow distribution if the biometric system fails. Government officials will visit ration shops and action will be taken against dealers who are found guilty of violation of rules, the Delhi government said. The Food Supplies Department will come up with a plan to resolve the issue and Food Supplies Minister Imran Hussain will hold a meeting with officials today to discuss remedial measures.